Electricity is a crucial requirement for civilisation, as we need it in order to survive. Throughout time, many people have highlighted the importance of electricity and how it could be harnessed for use in the world. Benjamin Franklin was one of the first individuals that showcased the importance of electricity in his early inventions. However, the person who really brought electricity to the forefront and showed how it could be used in real world applications was Nikola Tesla. Tesla’s discoveries were a lot more advanced for his time, and it took a long while for people to truly understand exactly how important his findings were. Even today, most of the electrical infrastructure that you see around you was made possible because of Nikola Tesla. However, after setting aside the historical significance of electricity, you should know that there are plenty of electrical issues that can arise around your home. Electricians generally exercise a lot of care when it comes to handling such issues, because the chance of being electrocuted is very high. Companies such as TFT Electrical Services offer a variety of different residential and commercial electrical repair/installation options. 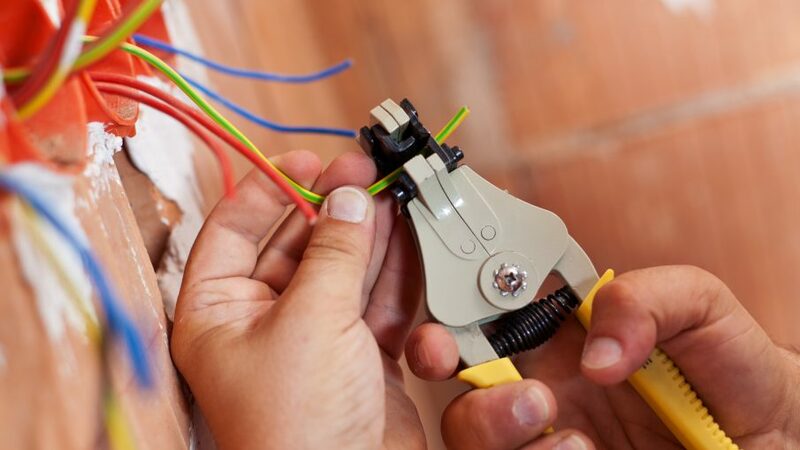 You can rely on the services of a reputable Perth electrician in case you encounter any of the following electrical problems around the house. Circuit breakers are more commonly used nowadays as compared to fuses. In case the electrical load exceeds the normal operating level when you turn on an appliance, the circuit breaker will immediately flip, thus “breaking the circuit” and preventing damage to your household appliances. If the circuit breaker is constantly tripping every time you turn on the air conditioner, or any other heavy duty appliance for that matter, you should call in an electrician to reconfigure the distribution panel. Circuit breaker tripping is quite common and can occur due to a variety of different issues. If it’s happening very frequently, there is probably a pretty complicated underlying problem, so it’s best not to meddle with it on your own. If certain appliances aren’t working normally, it might be due to an internal wiring issue. For instance, if you are flipping the switch for a light bulb and the fan turns on, it’s pretty obvious that the wiring behind the circuit board is messed up. Rewiring the circuits is not a job for an amateur. Due to the high risk of a short circuit, it’s best to call in a professional for installing the new wiring. Companies such as TFT Electrical Services offer a plethora of different repair/installation packages. Apart from installing energy-saving wiring, they also handle installations of air conditioning systems, lighting implements, and many other electrical components. If you don’t know much about the electrical wiring in your house, you should avoid going near the wires. Even if you have to, always remember to turn off the mains so that you don’t get electrocuted. You can contact the company for a quote for any of the services that they offer before calling the electrician to your place. These are some of the primary issues that you should avoid tackling by yourself around the house.